The Brother Martin Crusaders emphatically showed they are definitely the premiere team in Louisiana at last weekend's Louisiana Classic. While only having one champion and four runners-up, the Crusaders still outdistanced the second-place St. Paul's Wolves by 104 points to claim their second consecutive Louisiana Classic title, held at the Bonne Santé Wellness Center on the Baton Rouge Community College campus. The Crusaders racked up 287 points over the weekend. St. Paul's scored 184 points, and right behind them, at 183.5 points, were the Jesuit Blue Jays, who often only start looming large as the state championships get closer. Two-time defending Division I state champion Steven Shields won his second Louisiana Classic champion with a tough 6-5 win over Jesuit's 2015 Division I runner-up Joseph Dupre in the 120 lbs. weight class. Placing second for the Crusaders were Luke Cotton, Stephen Rumney, Taylor Gambill and Travis Viener. Eight other Crusaders placed in the top six spots, which accounted for their dominating winning margin. Three teams had multiple champions. Holy Cross outdid everyone else in the finals via championships from Cole Clement (132 lbs. ), Jake Rando (145 lbs.) and Joey Foret (152 lbs.). As they did at the Trey Culotta, Airline High School of Bossier City garnered titles from Javarious Jones (126 lbs.) and Christian Walden (160 lbs.). Blake Mateu (106 lbs.) and Josh Ramirez (182 lbs.) led the Rummel Raiders to a seventh-place finish, four spots ahead of their nearest Division II competitors, the Eagles of Archbishop Shaw. Remained undefeated against Louisiana opposition were Rando, Jones, Walden, Mateu, Ramirez, Jesuit's Guy Patron, Jr. (195 lbs.) and Lafayette's Rodrigo Diaz (220 lbs.). Cole Houser of St. Paul's (113 lbs. ), Nicholas Lirette of Hahnville (138 lbs. ), St. Amant's Sage Nugent (170 lbs.) and Shaw's Matthew Blair (285 lbs.) won the remaining championships. Complete results may be found on www.lhswa.org. Parkway of Bossier City won Saturday's Rayne Invitational with 281 points, outdistancing host Rayne, which accumulated 250 points. Basile came in third with 220 points. Winners for Parkway were Trevor Tamburo (120 lbs. ), Ryan Huckabee (145 lbs.) and Nathan Pitts (152 lbs.). Rayne's champions were Tyler Louviere (220 lbs.) and Mason Benoit (285 lbs.). Ouachita Christian won five championships, including four in a row, but that was not enough to overcome the team from Ocean Springs, Mississippi, which placed 11 wrestlers in the top four spots to win the John Curtis Invitational. The Greyhounds scored 178 points, which was 18 more than Ouachita Christian and 28 more than host John Curtis. Some younger Louisiana grapplers finished a tour of Alabama as well as three parts of the 'Battle for the Belt' series with a very solid showing. 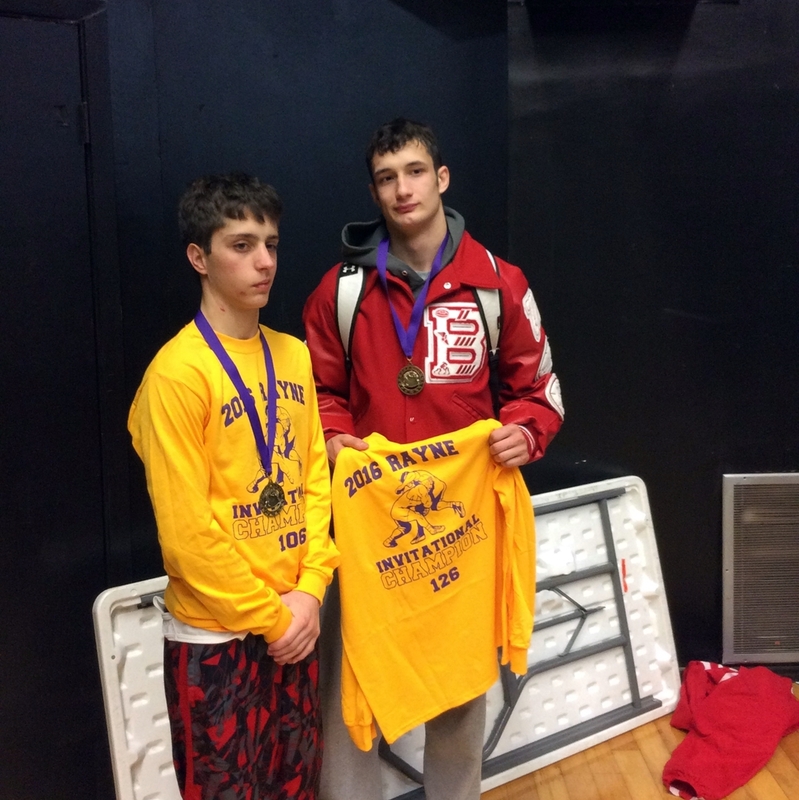 Landon Smith placed second, losing only to a very talented Tennessee wrestler, while Nicholas DiGerolamo finished 1st (all via pins) in a 16-man bracket. 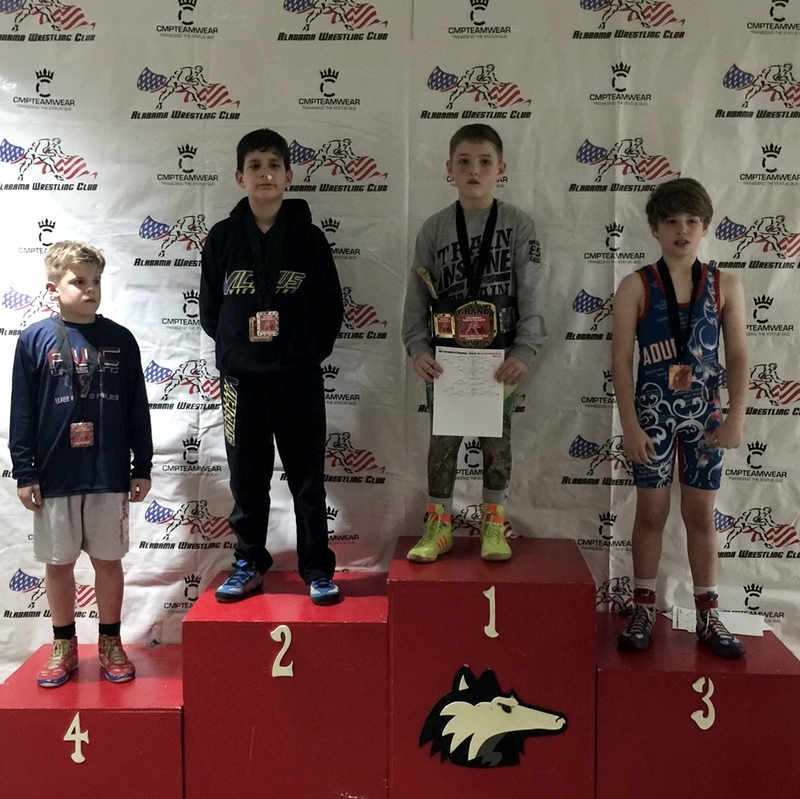 DiGerolamo earned the Most Outstanding Wrestler (Golden Hammer Award) for all 10u wrestlers.